This of course came as a pleasant surprise, as long as we know the games come without the SecuROM that has caused many in the gaming community to boycott EA by not purchasing their games. Ars Technica published an article about it that stated: "The product pages for each game reveal that all traces of the much-loathed SecuROM have been eradicated." This puzzled me, as I saw nothing on the product pages that indicate anything for/against SecuROM being eradicated. 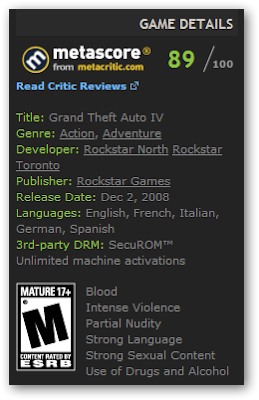 After further investigation, which is why I'm so late posting about this, I found a game on Steam's product pages that DOES mention third-party DRM... Grand Theft Auto IV. Notice the "3rd-party DRM:" section in the information just above the rating, that mentions SecuROM and Unlimited machine activations. 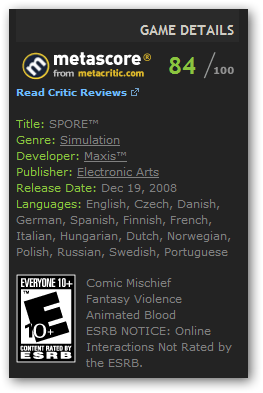 Looking at the Spore product page on Steam, we see that it lacks a section like that. I'm assuming this is what Ars Technica meant by showing that "... the much-loathed SecuROM have been eradicated." 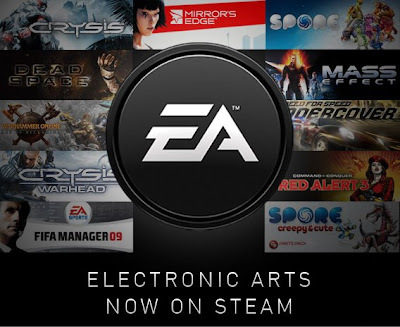 It has yet to be confirmed that this is true and not just an oversight by Steam to mention it on the product pages yet... but I looked at several EA product pages on Steam, including Mirror's Edge; which will be my first EA purchase on Steam if the DRM is truly gone. None of the pages included information mentioning 3rd-party DRM like the GTA-4 page did. I trust EA did the right thing here. I sure hope none of us are disappointed. 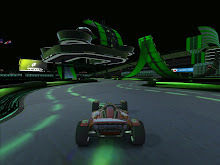 Please comment here if you've downloaded any of the EA games on Steam and can confirm that they are, in fact, without the nasty SecuROM we all hate so passionately. Kudos to EA if they've truly seen the light. Myself and several others I know will go back to purchasing multiple EA offerings on Steam to get sans-DRM licenses that we won't have to worry if we'll be able to play or not.